This solution is much more accurate than previous versions, due, in part, to the quality of design and engineering in the new manipulator assembly, allowing smaller and less dense features to be imaged than it was previously possible. This new technology produces vastly superior laminography results, when compared to other systems which revolve the detector or use inferior manipulators. 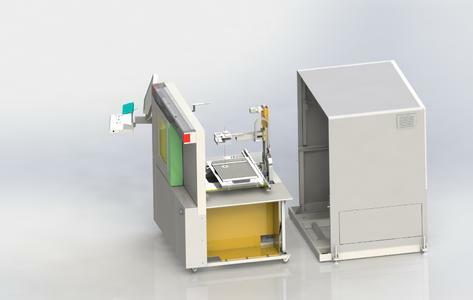 The inspection of a complex assembly or component with ‘Micro3Dslices’ including the automatic analysis of the slice-by-slice images now takes less than 40 seconds per part, thanks to these developments. By means of the virtual rotation axis, the region of interest can be chosen at any point on the large inspection area and ‘Micro3Dslices’ can get started immediately, providing constant inspection results of highest precision and quality. Semicon and Wafer inspections also benefit greatly using the improved mapping technology and precise defect markings support the easy sorting of defective parts, another key requirement for this demanding market. This new technology also offers a huge leap forward for all types of 2D imaging and the accuracy and repeatability for all types of inspection routines as well as analyses in the field of electronics applications, including QFN inspection.